Having just completed the first item on my list of “things to do” for the year, it occurred to me that “mixtapes” are something of a dying artform. At least, in physical form. Whereas the definition of this thing called “mixtape” is a remnant from the days when they were genuine cassette tapes and not CD-R or mere MP3 compilation mixes, it is not the “mix” part I’m referring to here. In fact, DJ mixes and similar compilations are flourishing: online and disguised under the ill-formed “podcast” banner. It’s the “tape” part I’m talking about — the physical media. Or rather, the medium. Not only tape; that’s dead, we’ve already said that; it’s the recordable CD that seems to have become passé for music. No, seriously: when last have you made a compilation of your favourite songs and burnt those to a CD-R as a proper Red Book Audio CD? Nevermind your answer — I’m quite sure it’s substantially less than when CD-writers first became affordable some ten years ago, and certainly before iPods, cellphones and computers became the standard audio player, not to mention hard drive-based multi-media players or other networked media tanks. Perhaps it’s just the novelty that’s worn off — or is it because, somehow and despite computers, ripping a bunch of songs off a selection of CDs and burning those is actually more labourious and less fun than taking those same CDs and recording them to tape used to be? Does anyone still listen to CDs or watch DVDs in their original form? Have we truly forsaken quality (CD, vinyl, DVD) over convenience, instant accessibility (MP3, XVid, IPTV/VoD, YouTube), and portability (iPod, Zune, Netbooks)? 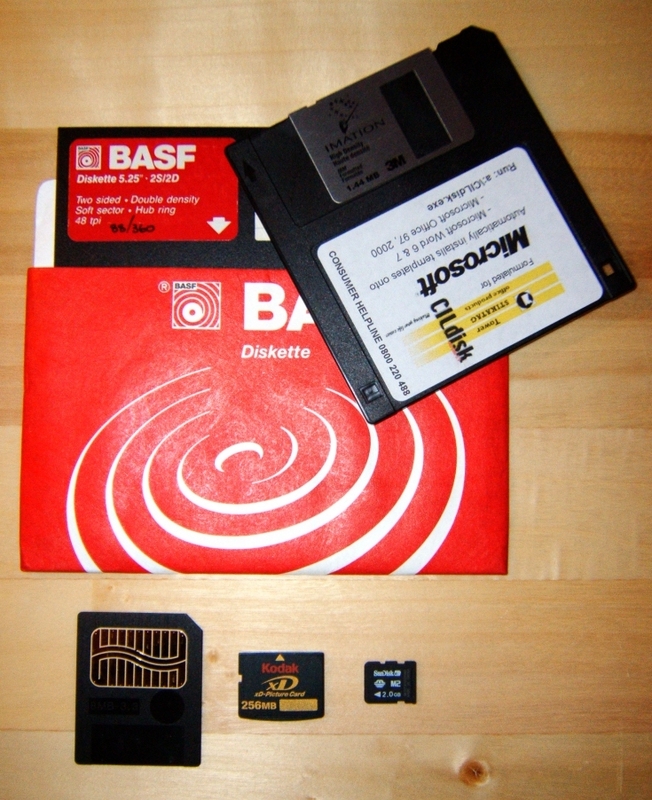 One should also realise that current removable media is mostly flash memory based, easily (trans)portable between devices thanks to a USB interface, is quite forgiving of rough environments, and of much larger capacity than any concentric magnetic or optical media carrier (external hard drives aside). Cost is another factor. 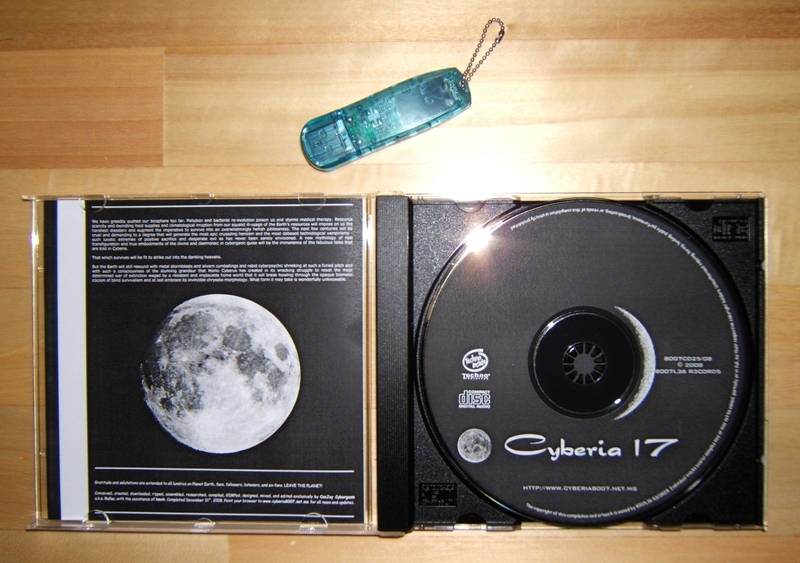 Consider how much its costs to transport and stock a big, bulky audio CD with its jewel case (carrying a paltry 74-minutes of comparatively pristine audio) when you could simply write the same amount of information onto a memory stick or tiny chip or, alternatively, compress that pristine audio and easily pack some ten times more music onto the same CD. In doing so, the media carrier becomes just another disposable commodity, and it’s just a matter of time before the work that goes into said content (read: the music itself) becomes an equally disposable piece of consumerism, possibly just as easily created as it is deleted from your iPod or dongle. Now realise that the labour, effort, passion and skills of the musician/s gets treated in the same manner as you would a carton of milk past its expiry date. The “value” of the work involved depreciates simply because it resides on a disposable data carrier in easily replicated digital form. The “album” that it took this/these musician/s months or years to write, compose, record and otherwise labour over is ultimately reduced to nothing more than just another few megabytes of MP3 files scattered somewhere across a fingernail-sized chip. The work thus loses value and worth in the mind of the consumer because those ones and zeros are not considered physical entities anymore. At the click of a mouse button they can be copied, compressed, converted, forwarded, distributed, or mashed up into something else… which I can’t do with a car. Or a handbag. Or a mobile phone. Nevermind audio CDs. Who still uses CD-ROM? Floppies? Physical size looks almost inversely proportional to storage capacity… or so it seems. Compare the sizes and capacities of these data carriers: there’s a 360kB and a 1.44MB floppy (useful capacities 10-20 years ago), an 8MB SmartMedia card from my old digicam (dated 2001), and a 256MB xD-Picture card from my present digicam (dated 2005). Finally, barely visible, there’s a 2GB Memory Stick Micro (M2) card for my camera phone (dated 2007). While it’s a far cry from a 120GB iPod, that’s still the equivalent of about 500 songs or 2000 minutes (4min/song @ 128kbps) of music. On a chip the size of a fingernail plugged into a phone the size of a pack of cigarettes! Compare that to a walkman or a portable CD player (neither of which dis/plays videos or photos) and it becomes evident that it’s our commuting lifestyle and the lack of portability that spells doom for the audio CD. The physical dimensions of the CD (once heralded as a major selling point) and the associated playback hardware are what’s killing it off. Streamability, portability and interchangability between Win/Mac, Android, Symbian, and Linux are what counts today. That might explain why over and above the masses of tapes that generous contributors are passing my way there’s also an increasing amount of audio CDs. Just a few weeks ago I picked up another batch of about 270. For free! Oh, and what I did forget to photograph is the SD-card from my GPS device — which is also capable of playing MP3s and displaying photos. Does anyone still care about ordinary audio CDs? Is audio quality still relevant? Does High-Fidelity still mean anything to anyone but true audiophiles? Did vinyl, ultimately, kill the CD by banding up with MP3 and its siblings? All things considered, this would be a practical gadget to have since, by default, it’d also support DVDs and CDs (and it also has a USB port and an SD-card slot). A Betamax/HD-DVD-combo player, however, would be kinda cool and übergeek but probably find favour only with collectors of obsolete-format players and format-war losers. Like myself. This entry was posted in Media and tagged gadgetry, mixtapes, rant 'n rave. Bookmark the permalink.